Fret not, Whopper lovers, you will soon have your beer and drink it too. 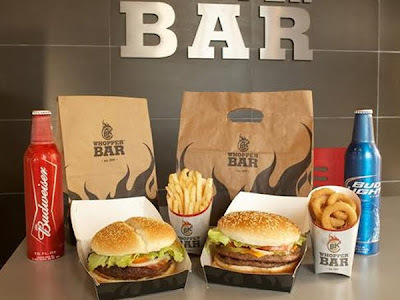 In some of the best news since they added onion rings to their menu, Miami-based Burger King has announced it plans on pairing its value meals with beer at a soon-to-open South Beach "Whopper Bar." Opening in February, the South Beach Whopper Bar will sell the same bargain burgers and fries, paired with a Budweiser instead of soft drink, and more Whopper Bars could be coming to New York, Los Angeles and Las Vegas, according to USA Today. The Whopper and a beer combos won't be available in regular Burger Kings, and they'll run you a bit more than one with a soda. The meal will be $7.99, two bucks more than the regular meal deal. The beers will come in aluminum cans and will include Anheuser-Busch and Miller/Coors products. It won't be the first time fast food nation ventures into the adult beverage business. Starbucks started selling brew at a shop in Seattle last year, and burrito chain Chipotle has offered cervezas for many years. Whether burger-loving beer drinkers will flock to the King -- especially in South Beach -- is no given, but it's a chance the Home of the Whopper is willing to take to try and grab a different generation of consumers. 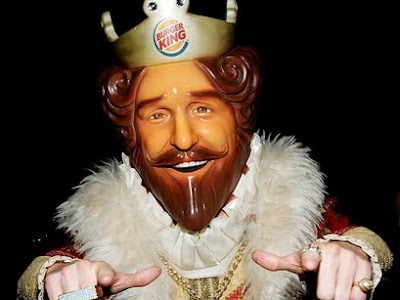 "The Burger King customer is aging, so they're just trying to grow up with the customer," Linda Lipsky, a restaurant consultant, told USA Today. Internationally, you can get a beer at Burger Kings in Germany, Venezuela and Singapore. And though you can get a beer at a McDonalds in Paris, we're not sure about one in Burger King. We didn't go to Burger King.